Privacy is one of the most important matters of concern everywhere in the world. This is one of the most important reasons why more and more developers are trying to bring in more valuable Apps which can ensure that your files and folders are always safe and secure. There are wide variety of apps which gives you better access and control for your privacy contents and today we are going to feature some of the best Photo Locking Apps. We go into more detailed approach towards File Locking and Photo locking Apps that gives you access to hide all your private data including that of the Photos too with the simplest security systems. Let’s go ahead with the Photo Locking Apps in the following section. One of the most interesting features of any Phone is the Gallery Options wherein people can store their multimedia contents and can access very easily. 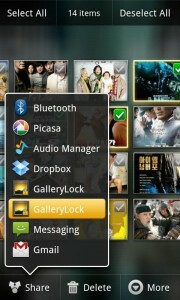 You might not know, but Gallery Lock is usually one of the most downloaded Apps in Android Smartphone. There are wide variety of features of Gallery Lock along with the best possible security and accessibility all round. You could also use this in Stealth Mode which will give you better security. Not just this, it also allows you to share your files across with one click Bluetooth application and upload them on various social networks. Along with this, it also gives you an excellent feature of safeguarding your files by keeping them in private mode when you don’t want anyone to view the file. One of the most important thing to note here is that, when you are about to uninstall this app, or upgrade it, then you must unhide all of your files before uninstalling, if not then all of your files will be automatically deleted. Interestingly, this app also creates a PIN Lock system along with text lock and pattern lock, which gives better access to your photos. Not just this, you can even hide the icon of the app so that no one would be able to see and by dialing “#789” it will open up from the keypad. Another great feature of this is that you can set a timer for your friend wherein they can view your media content for particular time period only. This app works same for videos as well, which mean all features which have been mentioned are also available for videos too. You can’t guarantee any application to safeguard your photos, unless other you is using KeepSafe Vault. With this app, you can a PIN lock system which will allow you to hide as well as unhide your private files with just one click. The interface is very simply to use and allows you to playback all video files except .WMV file. 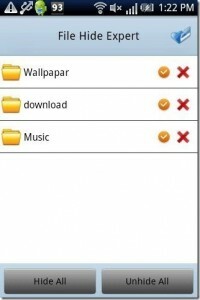 You can also organize your Photos and Videos in folders and make sure that you can always access them in better manner. Also another addon thing is that the app wouldn’t appear in the Apps list, so this way you can always keep your app hidden from the rest of the world. This is one of the best app to Lock your Photos for almost free of cost.